Copyright The source code, graphic design, images, photos, sounds, animations, videos, software, texts, domain names, brands, as well as the information and the contents collected along the whole web, are protected by the Spanish legislation in favor of MySaaSPlace. 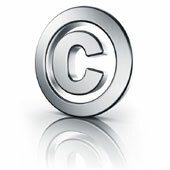 All the rights derived from the copyright and industrial are definitely reserved by MySaaSPlace. The source code, graphic design, images, photos, sounds, animations, videos, software, texts, domain names, brands, as well as the information and the contents collected along the whole web, are protected by the Spanish legislation in favor of MySaaSPlace. MySaaSPlace not allows, either fully or totally, the reproduction, publication, computer processing, distribution broadcasting, modification, transformation or decompilation not even other legally recognized rights of the owner without the previous permission and in writing. The user, only and exclusively, can use the material that appears in this web site or in the applications provided for its personal and private use, forbidding its use with commercial end or any other use that is not personal and private. MySaaSPlace will watch over the fulfillment of the previous conditions as over the correct use of its copyright and industrialist realizing all the legal proceedings that correspond to it. MySaaSPlace will be able to modify, without previous notice, the information appeared in its web site or in the provided applications, as well as its configuration and presentation.